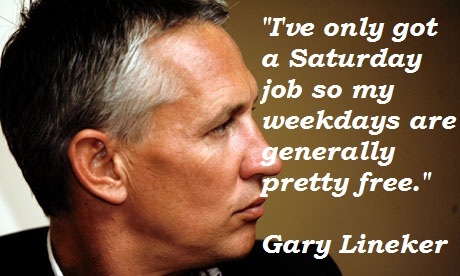 See the gallery for quotes by Gary Lineker. You can to use those 7 images of quotes as a desktop wallpapers. When I see old photos of me on the beach I don't look too bad... but it's hard trying to breathe in for such a long time when I spot the photographers! When you're winning games, everyone thinks everything the manager says and does is fantastic. Then it goes the other way, and those earlier criticisms of players can backfire. I am not leaving twitter. If the mindless few defeat the thoughtful majority we are all doomed. I know I am extraordinarily lucky to be doing what I am doing. I have worked hard along the way and I have been blessed too. I have had a great life. I try to avoid saying 'fantastic' too often and 'obviously' is a dangerous word for all broadcasters. 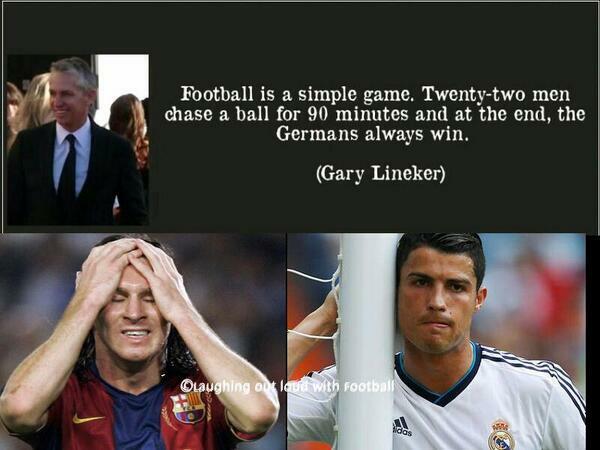 I was only interested in scoring goals. I wasn't interested in anything else. 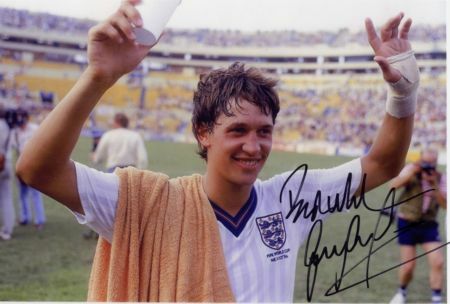 I wouldn't want to go out six nights a week and watch somebody's reserves playing to check out a footballer to see if we're going to buy him. I'm disappearing from twitter for a while. Need a break from the bile. Local prejudice just seems to bring out the worst in some people. I've only got a Saturday job so my weekdays are generally pretty free. My wife Danielle and I love travelling, different cultures and good weather. The truth is I don't feel too bad for my age. I actually have a better shape now than I used to. You've got no chance of reaching the top if you're just playing for money. I just think to be a manager you've got to live and breathe and have this incredible enthusiasm for football, the whole thing. And while I love the game, and it's been a large part of my life, it's not the only thing in my life. 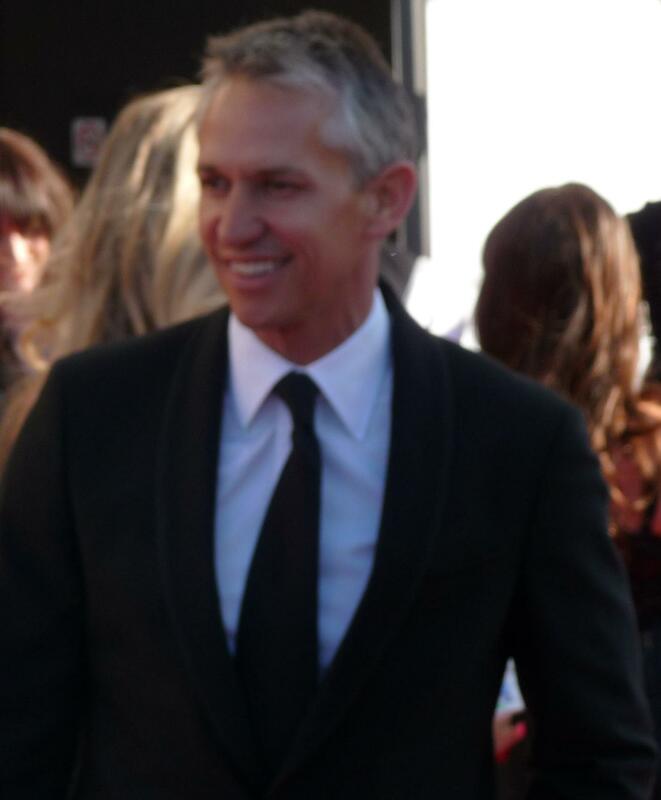 I was quite good at football once, although other than that my speciality would be maths. I'm great at sudokus and find all the spin-off games pretty easy too. Ooh, it's too embarrassing to share my innermost romantic secrets - although I have written Danielle the odd poem. If anything they are more comedic than romantic. They used to be well-received but that was before she started studying Shakespeare at drama college. Now I feel so inept. That's one of the magical things about the Olympics, Team GB will have someone challenging in a sport that we've never watched and all of a sudden it'll be the biggest thing ever. The best, most successful managers in the modern era are those who can keep a player happy even if he is not in the team. 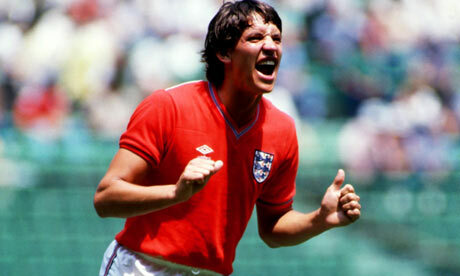 Given the size of the squads and the use of rotation nowadays, that's tougher than it's ever been. 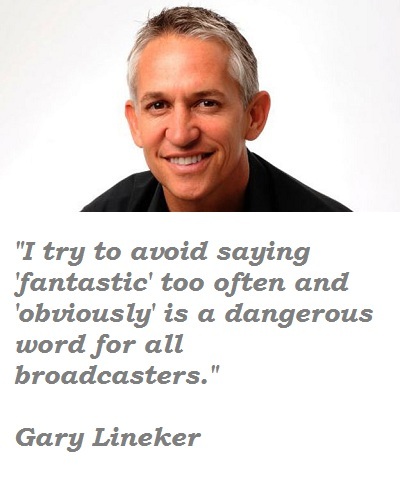 Much more quotes by Gary Lineker below the page. The train's always full of football fans going up to see matches. Oh, they make sure I hear their points of view all right. They all want to have their say about their team, and make their opinions known. The whole kiss-and-tell thing is a negative approach that often happens in a World Cup. We will see negative stories about the players and it can affect their confidence and the overall performance of the national team on the pitch, let alone the bid to actually stage the competition. We are in the entertainment business and we all know if you are top of the tree you get the big money. Those of us who have been in it are the fortunate ones but we understand that we probably don't deserve it as much as the nurses or teachers. We have got too many kids around the house to have a romantic meal at home. But Danielle is a fantastic cook. She does a brilliant lasagne, great roasts and a great chilli dish. She knows the way to my heart.